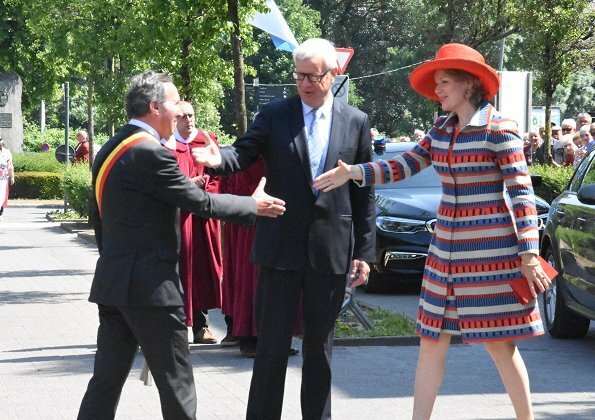 Yesterday, on May 20, 2018, on the occasion of 750th anniversary of "Mariastad", Queen Mathilde of Belgium attended Marian Procession in Halle. 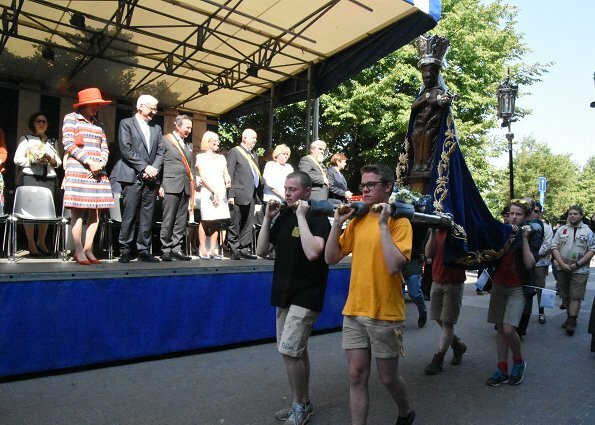 Marian Procession is also called as Mariaprocessie. In 1267, Machteld van Brabant donated Mary's famous statue to Halle. For 750 years, Virgin Mary statue has been protected in Our Lady Basilica. 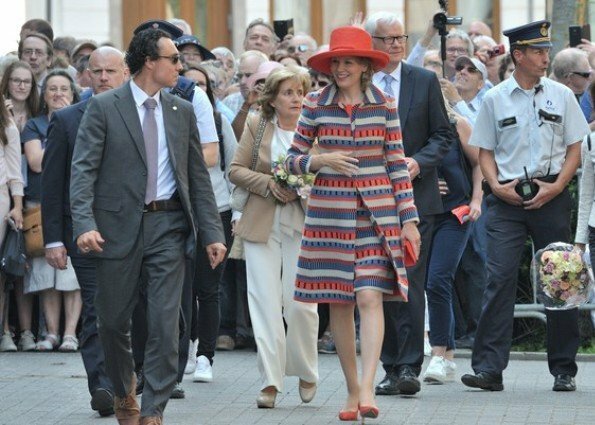 Halle declared the year of 2018 as its 750th jubilee year. 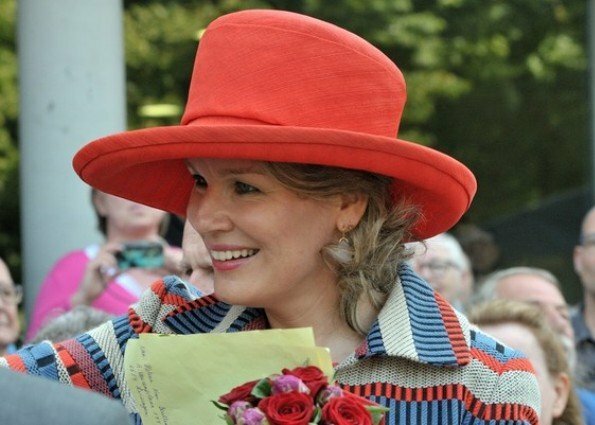 Queen Mathilde of Belgium looks wonderful. That outfit has to be one of the ugliest ever. 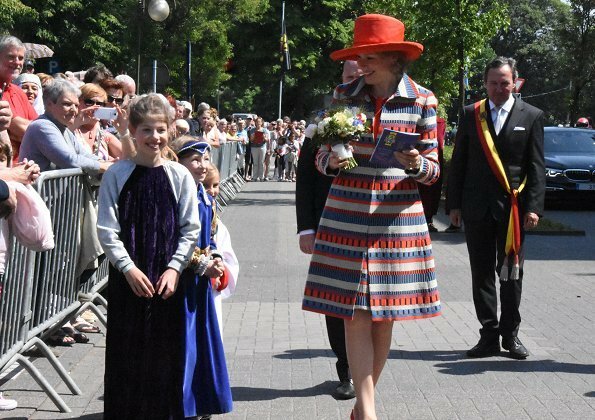 Beautiful event but I can 't stand striped.But I appreciate cheerful and colourful character of outfit. Don´t like this combination at all. And it looks so "wintry". I like the Procession. 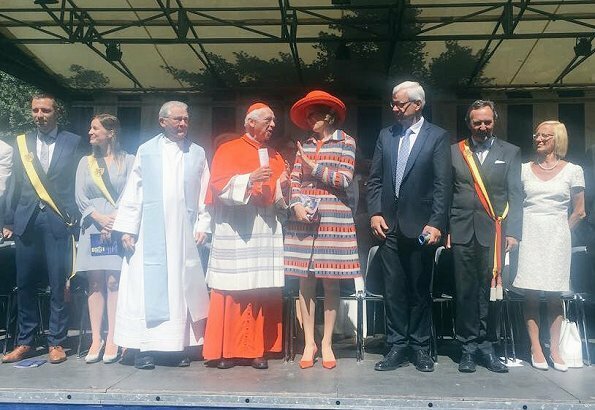 It reminds me of the many Processions we habe in Spain, where almost any town is under the patronage of the Virgin Mary under different names. In Barcelona our Patroness is Our Lady of Mercy, Nuestra Señora de la Merced in Castilian, Mare de Dèu de la Mercé in Catalan. Not that ugly in my opnion. Quite nice, but looks warm. I love her entire outfit. Very colorful, but elegant and professional. 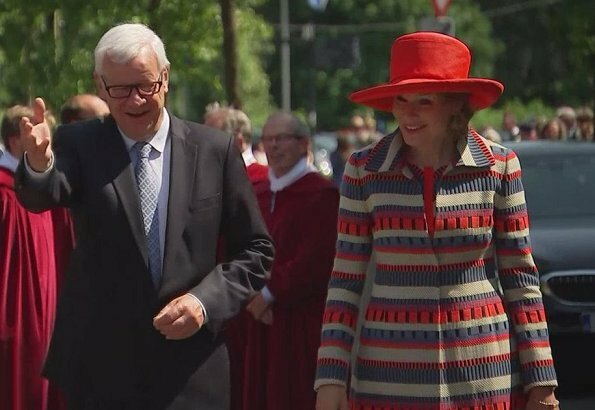 To many stripes dress and coat nah, the hat is good and so is her smile. Nice outfit. 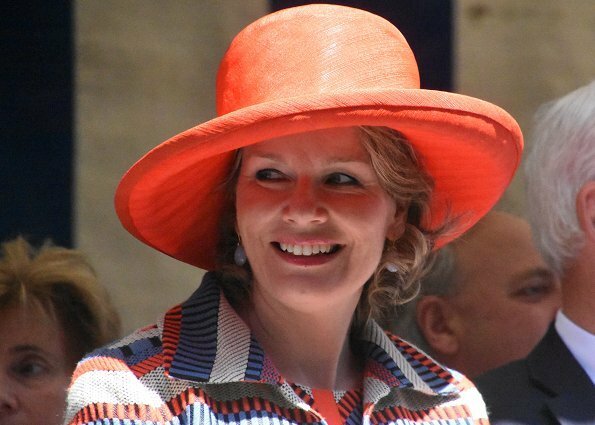 The hat is beautiful, the color suits her very well. Elegant lady. She seems so graceful and kindhearted!